Are you having trouble finding the perfect gift for a special day? Perhaps you want the recipient to have a say in the creation of the painting? Not the painting to give pride of place on your wall? Then let me paint your one! Affordable, true-to life oil paintings that catch the individuality of your pet. I paint your dogs portrait just for you. Light and gentle if desired, or strong and dynamic. 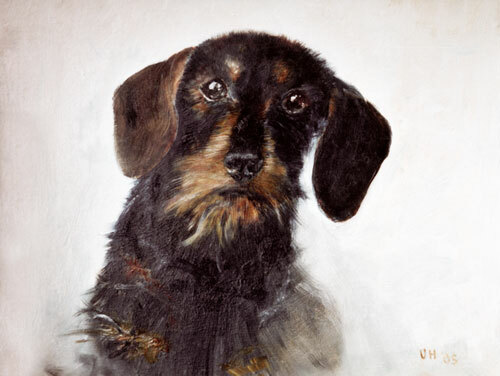 The painting will show all details that make your dog so unique - it will reflect your deep love to your companion. But - read yourself what his owner said to his portrait!